Purchase this product now and earn 7,650 Reward Points! 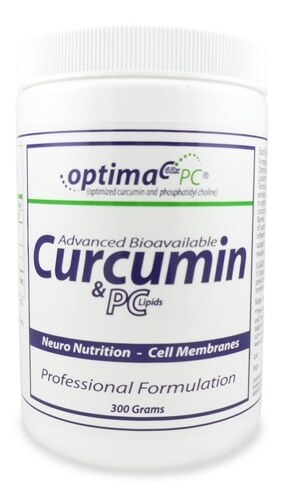 Optima C-PC leverages an ideal absorption-promoting system allowing curcumin to pass the blood brain barrier. The technology was developed by leading University Researchers and is based on solid clinical research using validated analytical methodologies. 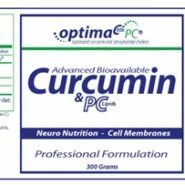 Optima C-PC is a proprietary formula containing enhanced bio-available (up to 65x) Longvida® curcumin and Essential PC Lipids. The formulation utilizes Solid Lipid Curcumin Particles (SLCP™ Technology) optimized for maximum targeting of curcumin into the blood and tissues. (4) Neuro Transmission and Acetylcholine Synthesis. Optima C-PC® is a finely-tuned matrix of ingredients that are brought together in a gentle multi-step process. The end product is precisely set in a way that preserves and protects ingredients from the harsh environment of the stomach, and promotes rapid absorption into the bloodstream and target tissues. SLCP™ Optimized Curcumin is the ideal absorption-promoting system, based on extensive research and clinical data that was repeated over and over using validated analytical methodologies. Longvida® RD Optimized Curcumin is up to 65 times more bioavailable and the only orally available form of curcumin capable of delivering “Free” curcumin to the bloodstream and target tissues. 1. 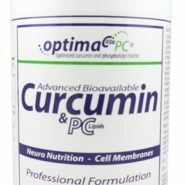 Optimized Curcumin™ is a powerful antioxidant and anti-inflammatory that reaches targeted levels in both blood and tissues and has been shown in clinical studies to positively affect chronic neuro inflammation and amyloid plaque formation. 2. Phosphatidylcholine is the “major” phospholipid and plays a vital role in in the health of all cell membranes. It enhances membrane fluidity, regeneration and repair, metabolism and micro circulation. Additionally, PC is a biologically stable and non-toxic choline donator for acetylcholine synthesis, which supports cholinergic metabolic functions such as neurological and mental performance. 3. 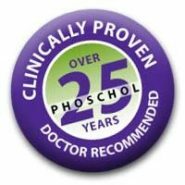 Phosphatidylinositol is a “minor” phospholipid present in all tissues and cell types in small amounts. However, it is especially abundant in brain and nerve tissue, where it can amount to 10% of total phospholipids. Data suggest Phosphatidylinositol supports cell signaling and is also involved in amyloid-beta fibril growth and arrest.